Thousands of migrant children are currently being held at a tent city in Tornillo, Texas along the U.S.-Mexico border. Most of the children traveled alone in order to flee from violence in their Central American home countries and to reunite with family members already in the United States. An investigation released this week by the Department of Health and Human Services (HHS) Office of Inspector General (OIG) found that the facility was not conducting required FBI fingerprint checks of the 1,300 staff members tasked with caring for detained migrant children. 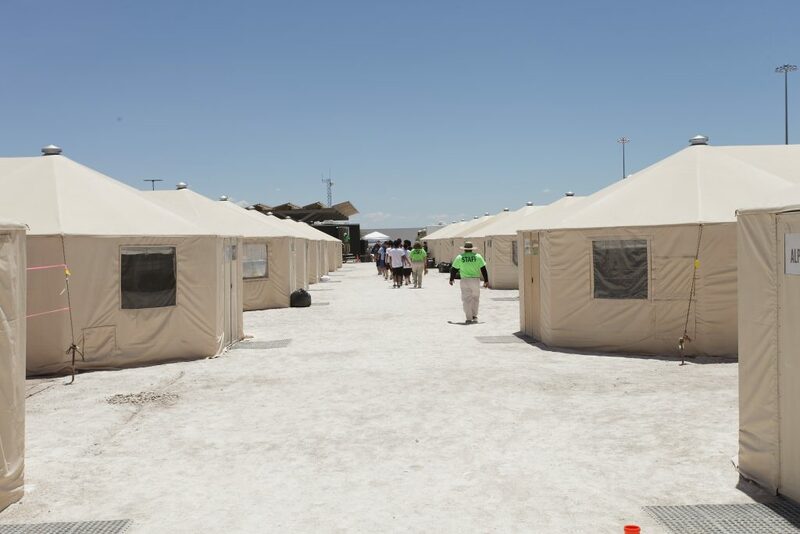 Because the Tornillo tent city is not licensed by the State of Texas, the government claimed that the State did not conduct FBI fingerprint checks on staff. Instead, Tornillo had been using a private vendor to perform other, far less robust background checks. This included name-based searches of its staff members, which have been known to produce false positive and negative results on applicants. The inspector general found that other basic security standards were not being met at the facility (overseen by the HHS Office of Refugee Resettlement or ORR), leaving children at risk of neglect, abuse, and poor medical care. While awaiting sponsorship in the United States, children interact daily with the facility’s “direct care” workers, placing them at greater risk of mistreatment. The CA/N check determines whether a worker has a record of mistreating children. ORR requires care provider facilities to complete the check by looking at the last five years of a child care worker’s history. In the case of the Tornillo facility, no direct care workers had received the CA/N check. It had been waived because of how quickly the government claimed it needed to open the facility. ORR requires that one staff member must be on duty for every eight children during waking hours, and one for every 16 children during sleeping hours. Similar staffing minimums are required for case managers and clinicians. The inspector general found that there was a disproportionately higher number of children to clinicians at the facility. In particular, the inspector general was concerned that there was not enough staff trained to deal with children’s mental health, particularly for a group that likely experienced significant trauma in their home country or along their journey to the United States. The report found that there was only one mental health clinician for every 100 children on-site. Children have also been staying at the tent city for longer periods of time since it opened in June—the average length of stay has shot up from 20 days to 27 as of early October. The inspector general worried that this upward trend indicated that Tornillo was functioning more like a shelter, as opposed to its “initial design as an emergency short-term-care facility.” The original facility was only intended to be open for 30 days. Many of the children have, ironically, remained detained in the tent city due to background checks. The Trump administration began requiring stricter checks on potential adult sponsors for migrant children, leading U.S. Immigration and Customs Enforcement to arrest many sponsors. As a result, would-be sponsors have been too afraid to come forward, as they may be undocumented themselves. In the eight-page report, the inspector general concluded that these issues “warrant immediate attention because they pose substantial risks to children receiving care at this facility.” The OIG has given the facility no more than 30 days to address and fix these issues. It’s important to remember that these are children—they should be in facilities with childcare licenses, in foster housing, or with family members that can sponsor them.